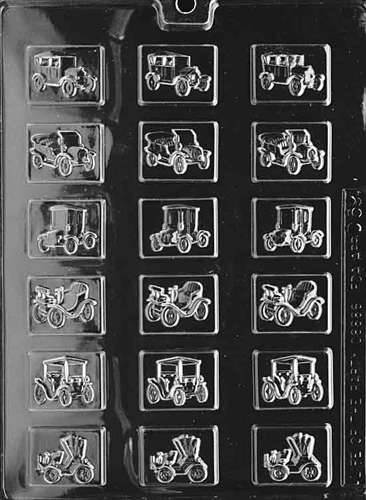 Use with chocolate or your favorite mint recipe for the antique car afficionado in your life. 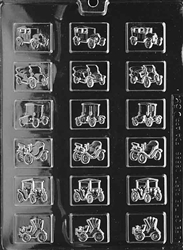 Classic Antique Cars Mint Mold has a nice variety of collectible vehicles to make for a fun way to drive your guests wild. Each piece is 1-1/8" x 1-1/2" x 1/8"
Very good. I love making candy. Its cute! My husband loves antique cars. The molds arrived fast and were exactly what I wanted, and at a great price.